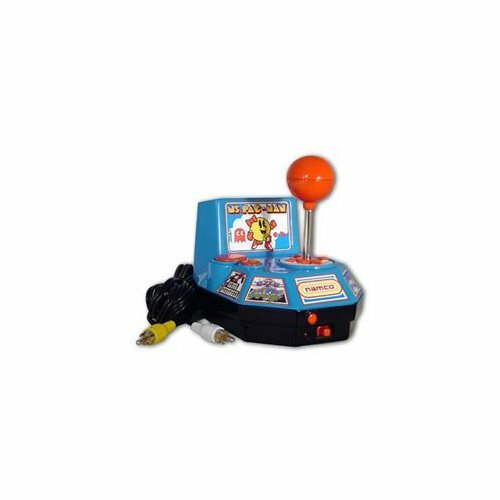 Plug and Play your games without the need for a game system! 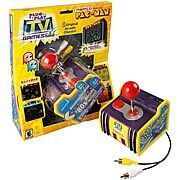 Relive memories with this Namco five-in-one TV Game that features 5 classic 1980s coin-op arcade games: Pac Man, Bosconian, Galaxian, Rally-X, and Dig Dug. See if those pesky kids can beat your old high score! Just plug it directly into your TV and play! Console is not required and the system is portable so that you can play anywhere. This is guaranteed to bring nostalgia back to videogamers, so grow out those mullets, put on those legwarmers and Members Only jackets because they're all coming back in fashion! Well, not really.